Welcome to PermaLawn's dedicated Special Offers and Promotions page. 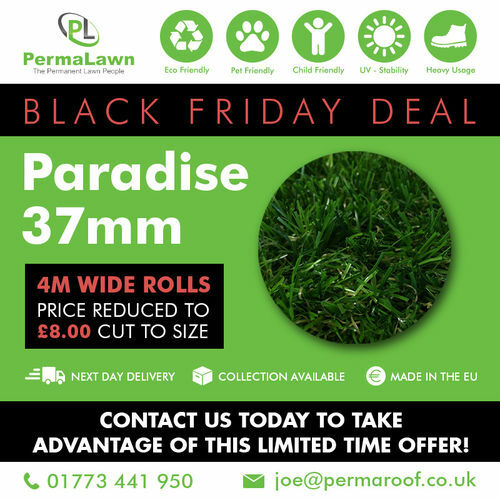 Here you'll find all of PermaLawn's latest offers and promotions ranging from heavily reduced off cuts, delievry deals or vouchers. You can also get notifications via our email service about the latest offers and promotions we currently have, all you need to do is go to the contact us page and fill in the form designated 'Register for updates' and that's it, our system will do the rest and you'll automatically be added to our mailing list so you'll always be up to date with everything PermaLawn! Be sure to bookmark this page and keep an eye out for the latest special offers and promotions from PermaLawn! We have a great selection of special offers currently available. We always have great offers across our range of grasses, adhesives and additional accessories. Our offers and promotions are often only available for a limited time only, so don't miss out!